One way or another, the work we do as plant biologists has a positive impact on the planet and its inhabitants. And whether these impacts are direct or indirect, our research matters. But too often and for far too long the roles of science in society have been obscure, unseen, and unheralded. Let’s do something to change that. Let’s join together to celebrate and recog nize plant biology’s contributions and the contributions of science writ large via a global movement to march for science. To that end, ASPB recently announced its partnership with the March for Science, which will take place this coming Saturday, April 22, in cities around the world. The March for Science is a global movement to draw attention to the vital importance of science in exploring and explaining our world and our place in it, enhancing our daily lives, and empowering evidence-based decisions and policy making. We encourage all members of our global plant science community to participate. If you are interested in participating and would like to march with fellow plant biologists, please let us know by signing up! 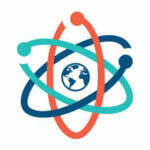 By signing up through the survey, you will be sure to receive important updates about where to find plant scientists at the March for Science, information about related and post-march activities, and details on how to share your pictures and experiences with plant scientists everywhere. This information – along with ongoing discussions about appropriate signage, meetups, and travel information – will be available via the March for Science Group on Plantae. ASPB’s headquarters are close to Washington, DC. So for those plant scientists marching in that city, ASPB staff will arrange and publicize a meet up location so that we may march together on April 22. If you plan to march elsewhere, please view the list of satellite marches to find one near you. Wherever you are in the world, we sincerely hope you will be able to march for science on April 22 and that you will share your experiences with us as your march unfolds! Share your experience on social media using the hashtag #ScienceMarch and #plantsci.